Action: A gentle, cleansing milk that rids the skin of make-up and impurities. Its fragrance-free formula acts as a veritable desensitizing care to calm your skin after make-up removal. 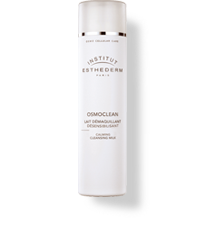 Results: Skin is perfectly cleansed, soft and relaxed. Its fragile ecosystem has been fully respected, hence any cutaneous reactions are greatly reduced. Gives the skin long lasting protection while calming the tissues. Truly wonderful! Indications: Specifically formulated for sensitive and reactive skins. The best! Instructions for use: Apply using fingertips to the face and neck with a gentle massage and rinse off with tepid water. May also be applied with a cotton pad over the entire face and neck area to remove make-up and impurities, then rinse. Use both AM and PM.